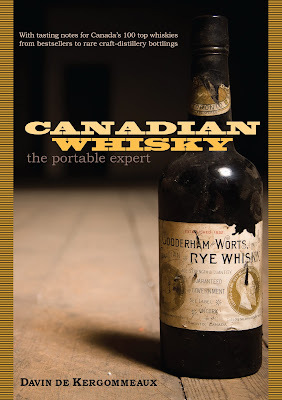 Canadian Whisky - the portable expert fills an enormous hole in the high-end whisky Zeitgeist where the largest selling whisky in the USA lives. Canadian whisky constitutes over 1/3rd of the American whisky market, and has so since forever (perhaps the Civil War) by being smooth. However, "smooth" has become a dirty word in the new high-end movement and there hasn't been a voice for Canadian whisky pride until now. Indeed, until this title, virtually nothing authoritative has been written about this vast and important area. 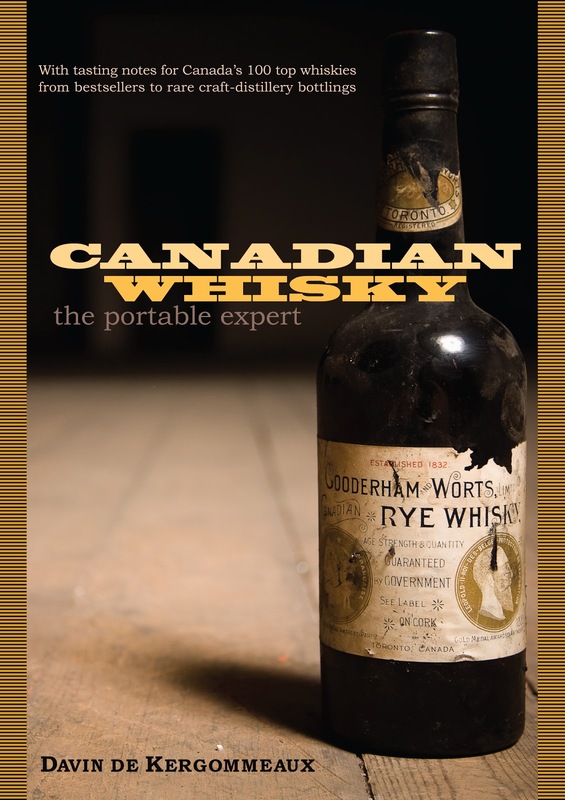 Canadian Whisky - the portable expert is a stunning achievement that is really three books in one: 1) a treatise on whisky, its production, and how to appreciate it; 2) an economic and biographical history of the Canadian whisky industry: it's titanic industrialists, innovators, and entrepreneurs; and 3) a comprehensive set of tasting notes and distillery profiles. As such it is one of the most useful and complete books on a whisky segment that I have ever seen or, indeed could even imagine. And while the tone is authoritative and scholarly, the obsessive love and attentions to detail, plus the language of the epilogue makes it clear that De Kergommeaux is a partisan, a defender, of Candian whisky's particular and unique flavor profile and role in Canadian culture, life, and economy. This isn't a book coming from some Canadian chamber of commerce type, however. Davin De Kergommeaux is one of the twenty-four Malt Maniacs - the elite group of whisky epicures who help mold and shape the culture and agenda of high end whisky epicurianism world-wide. Thus his whisky connoisseurship is impeccable and well predates his particular career as a blogger of and advocate for Canadian whisky. FYI - his blog http://www.canadianwhisky.org which has been around for a couple of years, is clearly the web's preeminent location for Canadian whisky reviews, news and scholarship. Since 2011 De Kergommeaux's position eminence concerning Canadian whisky was confirmed further by his appointment as Canadian Contributing Editor to Whisky Magazine. Canadian Whisky is a fairly compact 300 pages. It begins with the elements of grains, water, and wood. Then it moves onto the mechanisms and methods of distillation, blending and aging. Next is flavor science, tasting, and epicurianism covered from glassware to flavor mapping. These sections on how to drink are brief but as solid a treatise on the subject as you'll find. Then De Kergommeaux spends the next hundred pages on "A concise history of Canadian whisky" - which consists of biographies of mercurial geniuses and titans of industry such as Gooderham and Worts, Thomas Molson, Henry Corby, Joseph E. Seagram, Hiram Walker, J.P. Wiser and Sam Bronfman. But this section is far more - it is the history of towns and whisky expressions both booming and long gone. It is a vigorous bit of investigative journalism into a secretive industry that is seldom documented well - if at all. This is the first time that this history has been told with anything like this kind of comprehensive reach and vision. It is a gripping achievement which will appeal to students of history and economics as much as whisky enthusiasts. It reminds me quite a bit of wonderful books of economic history such as Ron Chernow's The House of Morgan. The book concludes with 100 pages profiling the nine distilleries of Canada: Alberta, Black Velvet, Candian Mist, Gimli, Glenora, Highwood, Hiram Walker, Kittling Ridge, and Valleyfield. Yes, all of Canada's titanic output of whisky comes from just those 9 distilleries. Interspersed among the content, as color block side bars, are brief encapsulated tasting notes. Ultimately, this is the weakest part of the Canadian Whisky. Anyone who wants to read the full treatment of these tasting notes will have to visit http://www.canadianwhisky.org as the full tasting notes do not appear in Canadian Whisky at all. This is really much more of a book about Canadian Whisky's history, production, and industry than a flavor analysis of the particular expressions. Nevertheless, this book has revolutionized my understanding and appreciation of Canadian whisky - not only because I now have a much fuller sense of the full segment and the universe of expressions being made (and that were made in the past). It's the depth of analysis of how Canadian distillers achieve their flavor profiles - and why they labor so hard to achieve them - than has really affected my comprehension and perspective. Most Canadian whiskies are blends. "Base" whiskies, typically distilled via column still at high proof, aged in extensively refilled barrels, and then diluted down to a greater extent than many other whisky traditions, are mixed with rye "flavoring" whiskies. Rye gives the character and the base whiskies bring sweetness and smoothness. Massive averaging and blending traditions assure consistency - but also another layer of smoothing. The incredible smoothness and soft finishes of Canadian whiskies are no accident. They are the achievement of a century of careful tuning to kill the bugaboo of 19th century raw whisky - roughness and the taste of youth. Bottom line, every whisky drinker or student of any related field needs to read De Kergommeaux's Canadian Whisky - the portable expert. It is a towering achievement in the field of whisky writing and shines a brilliant spotlight into a huge, important, and yet almost totally overlooked subject. I'm tempted to read the book at some point but the main problem is this: good Canadian whisky is not available in the US. Wisers, Alberta Premium, etc, are not available here! The stuff I have tried is simply horrid. Even Forty Creek, while I could appreciate the quality, is not my thing. I'd like to try one of the 100% rye whiskies from Canada, but otherwise, I'll pass on all the blended segment. I just don't get it. It's a point that De Kergommeaux makes a number of times: Prohibition was a mixed bag for Canadian distillers. Some thrived, others struggled - depending on how willing they were to deal with criminal enterprise. Opportunities existed, but the USA was the largest market, and the legitimate market disappeared. De Kergommeaux makes a very good case that Canadian whisky's popularity and success well pre-date Prohibition - the result of a superior product (often) in the 19th century and sometimes because of regulatory issues - such as the Michigan law that prevented distilleries from doing their own "rectification" (filtering in the 19th century - Tennessee style). As for blends not making you happy - yes, I wager it's a question of few good ones available here in the USA. I gave Royal Crown Cask No. 16 five stars on this blog - and that's a blend of corn base whisky and rye flavoring whisky. I gave Pendleton 1910 four stars (almost 5) and it's 100% rye. Other 100% rye Canadian whiskies with US brands include Whistlepig, Jefferson's 10, and Masterson's Straight Rye. I own Whistlepig (haven't cracked it yet, but the reputation is stellar). PorchHound swears Mastersons blows everything away - including top US ryes and Whistlepig. Jordan of Cocktail Chem swears by Jeffersons. I've been enjoying the heck out of Pendleton 1910. The upshot here seems to be that Canadian 100% rye kicks major ! @#$ and that, while none of us know exactly which distillery produced it - or which one, exactly, is the best - clearly some of those 9 Canadian distilleries knows what its doing when it comes to rye. I wonder what sort of impact this book will have on its readers from the U.S. Specifically, will there be more interest in trying the higher end Canadian-style (base + flavouring) Canadian whiskies, or in getting hold of more of those flavouring ryes? The latter would be somewhat ironic, since bottling those ryes straight doesn't seem to be part of the Canadian whisky tradition. I don't know what the impact will be - but I guess that more Americans may seek out higher end Canadian whiskies. Those flavorings ryes are already making strong inroads into the US (see my previous comment). One thing about "tradition" that De Kergommeaux makes clear is that it's changed a lot over the years. Early 19th century was filtered white dog. Later 19th century was aged short pre-married. 20th century saw emergence of current advanced blending techniques. Singles were available through most of the history. US bourbon brands were periodically made in Canada, as well as US ryes. Canada has seemed to do a ton of variations including single malt, bourbon, rye, and a multitude of blends. Pot stills, column stills, pot stills with columns where the neck should be, batch fermentation, continuous fermentation - on and on. There's a ton of variation going on. Part of it seems to be that blenders end up doing everything vertically (from a single distiller) (regulations). It's not like Scotland where blending houses get malts from all over. Thus each distillery tends to make a full array of different whisky flavors in house. But they weren't always blended - and aren't exclusively even now. Although I certainly grant you that most Canadian whiskies that anyone would name off the top of their heads, Crown Royal, Canadian Club, Seagrams VO etc... are all blends. It's a little odd, but my American cousins and their friends love Canadian Rye far more than most Canadians I know. And I'm afraid I'm part of that statistic - I just don't like Rye. Funny thing is, I couldn't care less about hockey either. I'm surprised they haven't kicked me out of Canada yet. Ha! Well De Kergommeaux backs you up. Canada exports more than it consumes. Major brands such as Canadian Club, Seagrams 7, and notably the recent Canadian Mist, were explicitly designed for the palates of USA drinkers (and sometimes with mixing with ginger ale in mind). Rye has had mixed fortunes in the USA as well. Dominant before Prohibition, the great rye traditions of Pennsylvania & Maryland were wiped out and rye mostly disappeared except as a flavoring ingredient of Bourbon. Rye has made a recent dramatic resurgence in the US mostly within the last decade. It is this taste movement that is driving the importation of Canadian rye to the USA. I'm glad - it's amazingly smooth and drinkable stuff. Seagram's 7 Crown is an American blended whiskey. I always thought it was Canadian, and maybe it used to be. I ended up buying the book before I got around to reading this review, although I had saved it for later. The book is fascinating, and if anyone is on the fence, they should get it. D'OH! You're right, of course. Sylvan. Thanks for commenting and correcting my error. Seagrams 7, the bottom of the line product for Seagrams, is made in the USA and capitalizes on the common confusion that it is Canadian because other Seagrams products, Such as the higher quality Seagrams VO are Canadian. Thanks for your review, I'd love to read this book! Whiskey is my favourite drink but I know so little about it. What is the best! Canadian Rye,NOT found in the U.S???? I mainly know the Canadian Rye that is available in the US. Some of it is amazing. As for the wild Canadians available only in Canada - I wallow in ignorance, for the most part. What do you think of Canada exclusive rye?